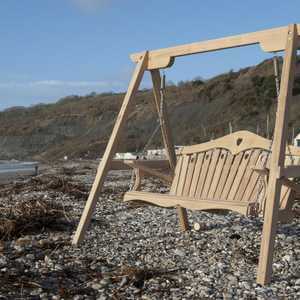 Since 2004 Sitting Spiritually have been making wonderful garden swing seats, pergolas, garden benches and rope swings. 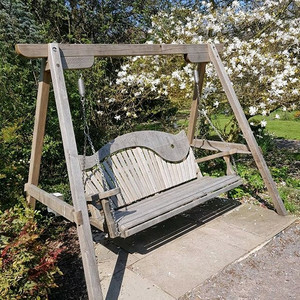 The only bespoke swing & bench maker licensed by the RHS, the company has a team of local artisans working with them and a reputation that has gone from strength to strength. Each swing seat is one of a kind, hand crafted and beautifully finished to an exceptional standard, from concept to delivery. 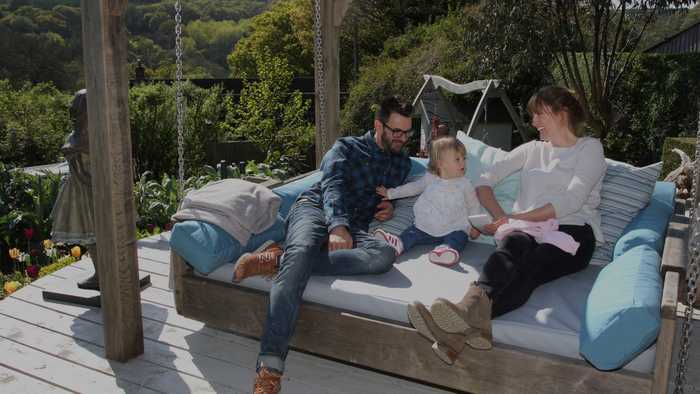 Over the years, Martin and his wife Celia have worked together to expand the range of designs on our wooden garden furniture, creating wooden swing seats and accessories that look as beautiful as they are comfortable in any style of garden. 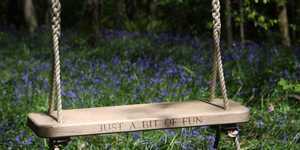 Bespoke wooden garden swing seats, rockabyes, rope swings, garden benches, tree swings, pergolas and swinging day beds. 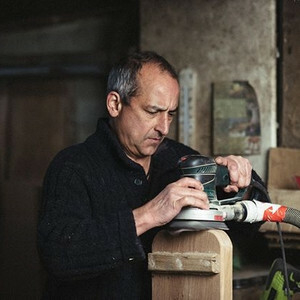 Award-winning handcrafted garden furniture. 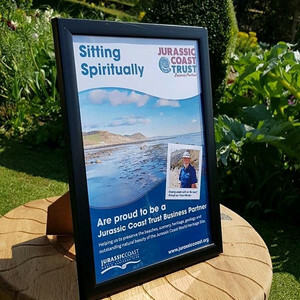 Enjoy the Sitting Spiritually experience. 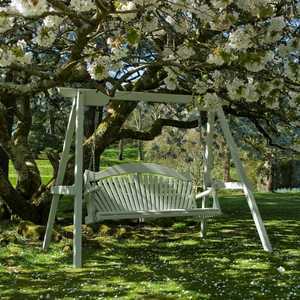 Choose your swing bench wisely - it will be made especially for you and it is likely to be in your life for many years. 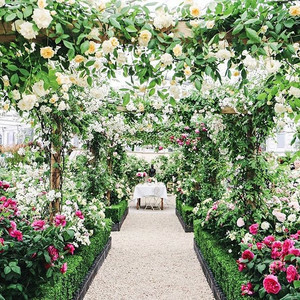 The shape is important, it must be classic, comfortable, beautiful and fit your garden, gazebo, porch, arbour, pergola or branch of that favourite tree. 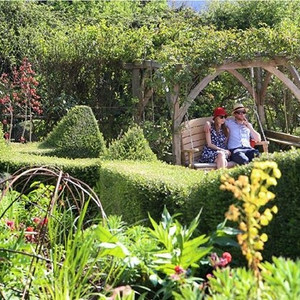 You must be able to relax on your swing seat, both sitting comfortably and using it like a hammock – stretch out with a cushion and snooze dreamily in the dappled sunlight! Make sure it’s long enough and wide enough for all the family. Test the swing factor – is it balanced? Does it have a soft, smooth and gentle motion? 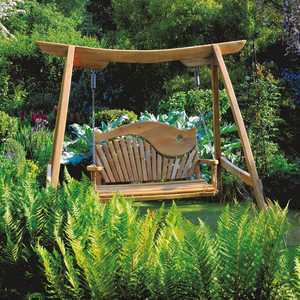 Below is a selection of our featured Garden Swing Seats and Swinging Day Bed. 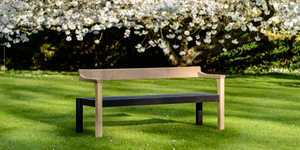 It includes the Swinging Day Bed, the Harmony Swing Seat in Painted Pine, the Kyokusen Oak Swing Seat in Curved Oak, the Tranquillity Oak Garden Swing Seat and the Serenity Cedar range of swing benches . 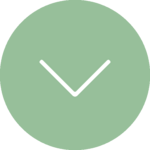 To find out more about any item of garden furniture, simply click the image. 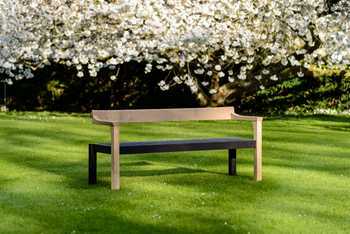 In garden furniture, wonderful woods such as Oak and Western Red Cedar give longevity, strength and fade over time to a majestic silvery grey. 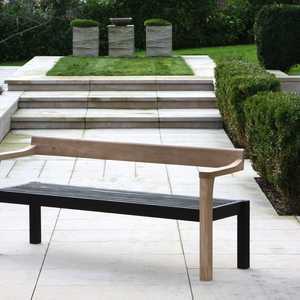 Spray painted vac-vac treated Pine and 25 year Accoya Swing Seats add a splash of contemporary colour to your garden. 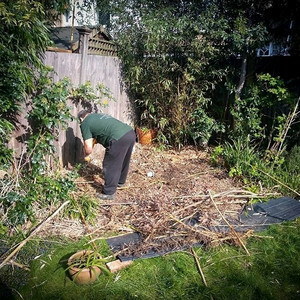 All of our timber comes from FSC sustainable sources guaranteeing tracking from felling and replanting through to our workshop and finally to you. 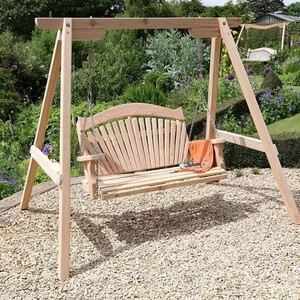 Martin Young the founder is always happy to advise on every aspect of buying a wooden garden swing seats or garden furniture. 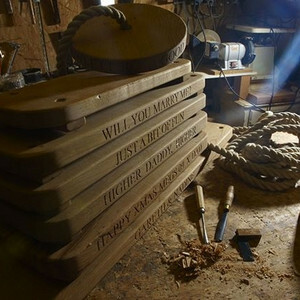 Each swing seat is one of a kind, personalised and hand crafted, just for you.